Going Green with Metro Car Removal Sydney for your ‘Auto Recycle’ means salvaging about 80 percent or more of the vehicle. We put the Cash for Recycling Your Car into your hands when we pick up the vehicle. Give us a call today for a Cash for Wrecked, Damaged or Accident Car offer. Going green with your Car Disposal keeps the environment green, which is a good reason in itself to choose Metro Car Removal, but we also put green in your pocket. 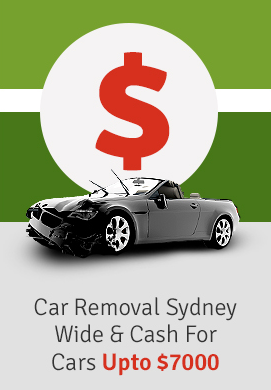 We are the Car Removal & Recycling Company in Sydney that concentrates on Eco-friendly Car Disposals. Our system is one that allows us to salvage a large majority of the vehicle for reuse and a portion of the vehicle for recycling. When all is said and done, only a small percentage of the vehicle is disposed of; and, with that, it is disposed of in an eco-friendly manner. We are Green Car Recyclers that make fair cash offers for wrecked, damaged and scrap autos of any condition. Accept and you can then let our appraiser know a time that is convenient for you to have the auto inspected and removed. We understand the condition of the vehicle may be less than desirable, but not to worry. We buy autos to refurbish and recycle. Our inspectors/removal technicians work around the clock servicing Sydney vehicle owners with ’24/7 Car Removals’ with no charge for collection, loading or towing. We’ll arrive, inspect the vehicle and provide the necessary paperwork to sign. We also require that you have the title of ownership or scrap title for the vehicle so that the sale of the auto is legal. Once the paperwork is out of the way, we’ll then provide you with the cash for the sale of your vehicle, and load the auto to be on our way. The process is one that is quick, taking about ½ hour to an hour out of your schedule. It is also one that is convenient as vehicle owners let us know when they’d like to have their vehicle removed- a.m. or p.m. Car, Truck, Van, SUV, Ute, Jeep, 4×4, Bus or Bike, give us a call, and we’ll make you a Cash for Cars offer on any make, condition and type of auto. Our quote could be up to $7000! Call us at 0422 600 833. Complete our “Get a Quote” form.